Who We Are - The Official Website of The Roving Seats ! Manuel entered the conservatory at the age of 9 years to learn guitar, then, in the early 90s, discovers Country Music, which he will become one of the leading French experts in the matter. In 2011, his entry into the SACEM as a songwriter was the recognition for many years to compose, what enabled him to forge a musical identity, his own style… during the same year, he made his second beautiful artistic and human encounter: Jean-Michel PEYROT. In 2014, Manuel created The Roving Seats and in 2016, he co-created The Lady's Country Angels (with almost the same team) with Candice PARISE! Fascinated by the guitar, Jean-Michel entered the Guitar Academy of Marseille, alongside François Tomasi, talented professional guitarist, where he learnt classical guitar for nearly 20 years. In the meantime, and to please his mother Brazilian origin, he began learning Brazilian guitar with Jean-Marc Dermesropian, completing his musical education. 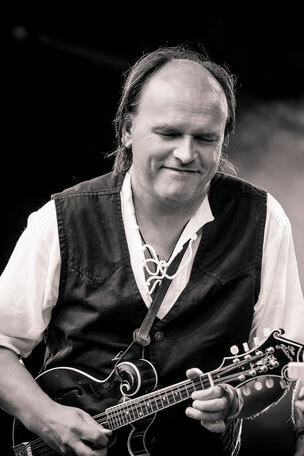 In the mid-90s, he discovered the Finger Picking, playing technique that consists in scratching guitar strings in an atypical way. For 20 years, Jean-Michel played on stages all around The Provence (South of France). The organization of concerts allowed him to meet great artists like Lari White, Pam Rose or Tommy Emmanuel. 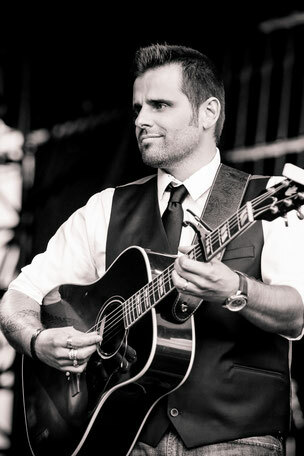 During a concert organized for Lari White and Pam Rose, he met Manuel JULVEZ and something really strong happened between the 3 men… His melodic approach of the guitar and his high professionalism enabled Jean-Michel quickly find his place within the band, bringing his touch, his style, to The Roving Seats songs. Musician singer since his early youth, Sylvain began studying piano in 1989 and received his conservatory medal for the transverse flute. He starts playing bass and digital percussion in 2002. 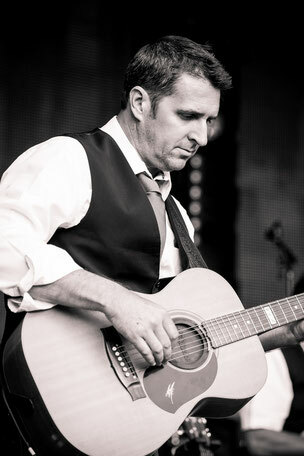 Sylvain played for several years with Jean-Michel in the band they created, 'Confidentiel', singing Jean-Jacques Goldman's songs. Last recruit in The Roving Seats (in 2016), he is the additional asset of the atypical band. His vocals, keyboards and percussion allow sublimating Manuel Julvez’s musical creations. Alchemy has quickly made between the two men. Vocals between Manuel and Sylvain are one of the real identity of The Roving Seats!! Born in a family of musicians, Stephane grew up immersing himself in different music styles. Attracted by songwriting, he began composing songs very early. Today, Stephane leads many musical projects in studio and performs regularly on stage in parallel. He also teaches bass and guitar, and the basics of harmony. 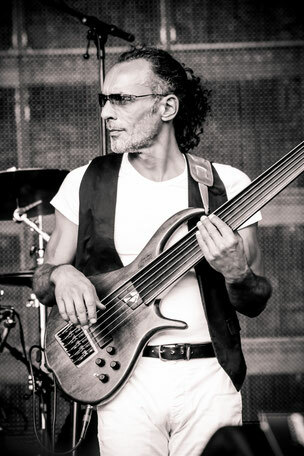 Stephane has a rich and eclectic musical career, Funk, Rock, Fusion, Jazz, Latin, African, World Music… and Groove! 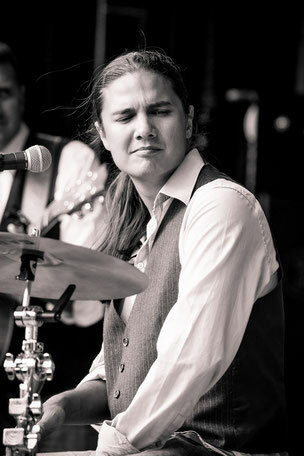 Thierry, alias 'Rooster', is an outstanding multi-instrumentalist! He has a resume that would be the envy of many musicians! He played music almost everywhere along the globe (Spain, Poland, Sweden, Germany, Denmark, USA, Japan, Australia, South Africa… and so many other ones!!) with a lot of different artists (F.Lalanne, P.Rowan, H.Auffray, J.Manson, Manau, J.P.Jones (Led Zep), B.Lagrène, J.Hallyday, C.McCoy, T.Willmon, M.Dadi…). Jérôme is the last member of The Roving Seats. He joined the other guys in March 2018! 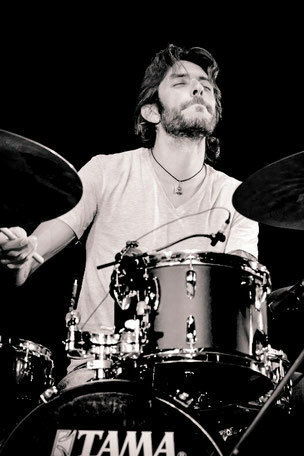 At 12, Jérôme Mouriez started playing before (at 14) discovering the drums. Professional at only 18, he played in a lot of bands, rock, funk, then jazz-rock. In 2000, he followed a year of training at the IMFP where his passion for jazz was revealed to him. In 2004 and 2005, he took André Chariler's lessons at the Didier Lockwood Music Center. He met famous drummers like Frank Aghulon, Stéphane Galland ... and developped his game there. Jérôme already knew Jean-Michel for a long time (they played together) but he never played New Country Music before meeting with The Roving Seats. And for his first concert with the band, it was like if he played that style his whole life… What a talent!! 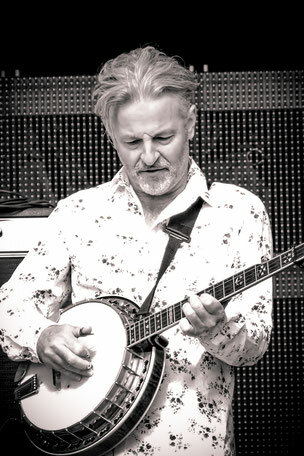 Jean-Marc is a "veteran" on the European bluegrass scene and he is also a multi-instrumentalist: he practices the guitar, the mandolin, but his instrument of predilection remains the banjo, an instrument he started practicing very young and on which he is now a real master! Unlike many musicians practicing this instrument in Europe, Jean-Marc remained faithful to the "Grand Master" who inspired his vocation: Earl Scruggs, which he has mastered the style and sound as only few musicians on the continent. For him, the banjo is an instrument wonderfully adapted to support singers in a bluegrass formation. His mastery of the instrument did not go unnoticed in the United States since Jean-Marc has participated in several prestigious competitions, in particular the famous Contest of Kerville in Texas, which he won in 1981.
International criticism does not hesitate to consider it as one of the best banjoists out of the USA!! In 2016, he joined The LCA's on the stage of the Festival Country Rendez-Vous and all the members of the band decided to make him a new member of The Lady's Country Angels and The Roving Seats! This open and generous attitude combined with his great talent make him a pillar of The Roving Seats.